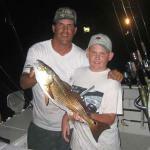 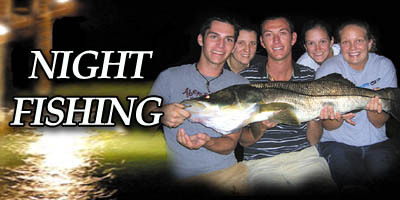 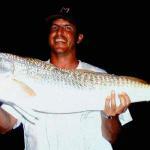 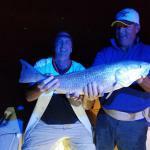 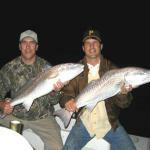 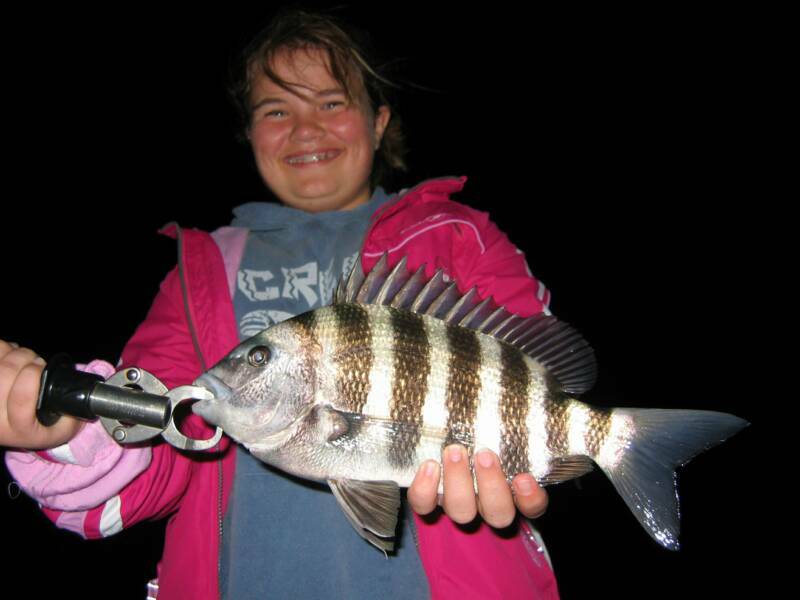 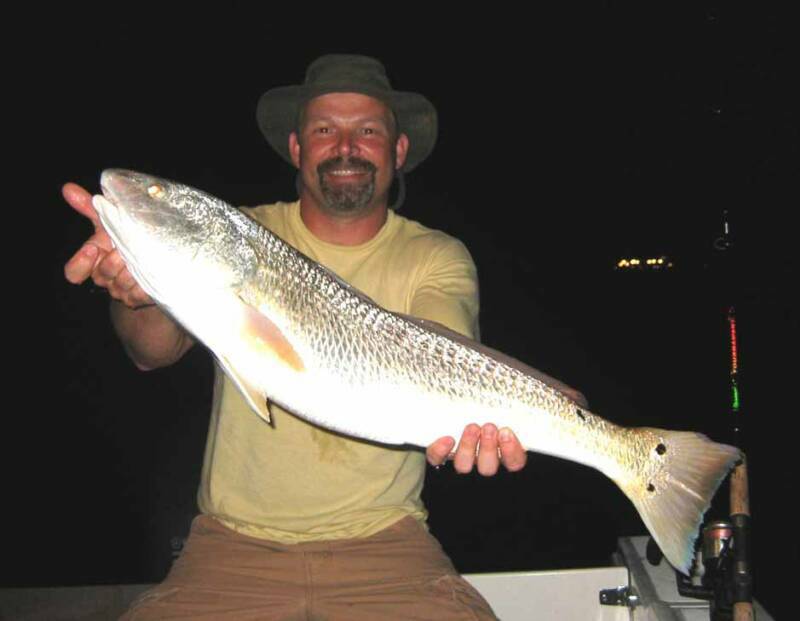 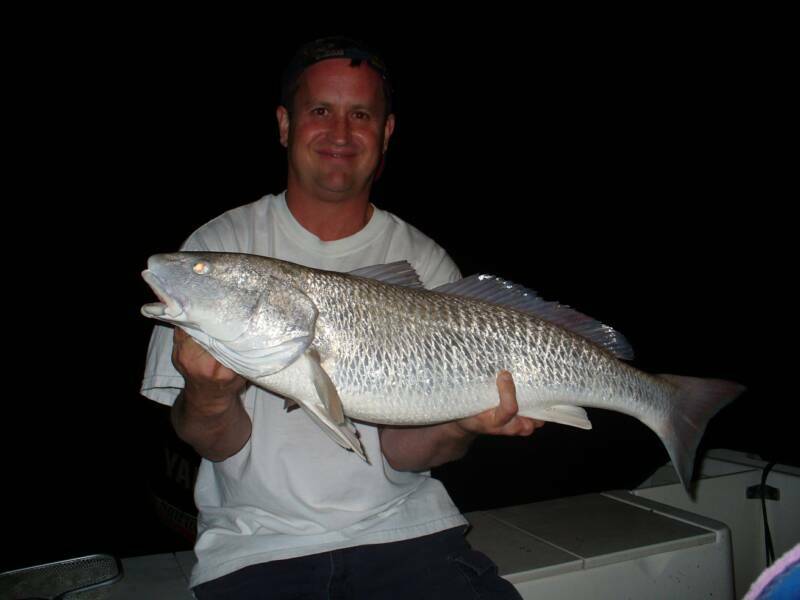 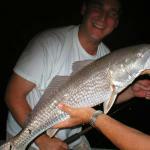 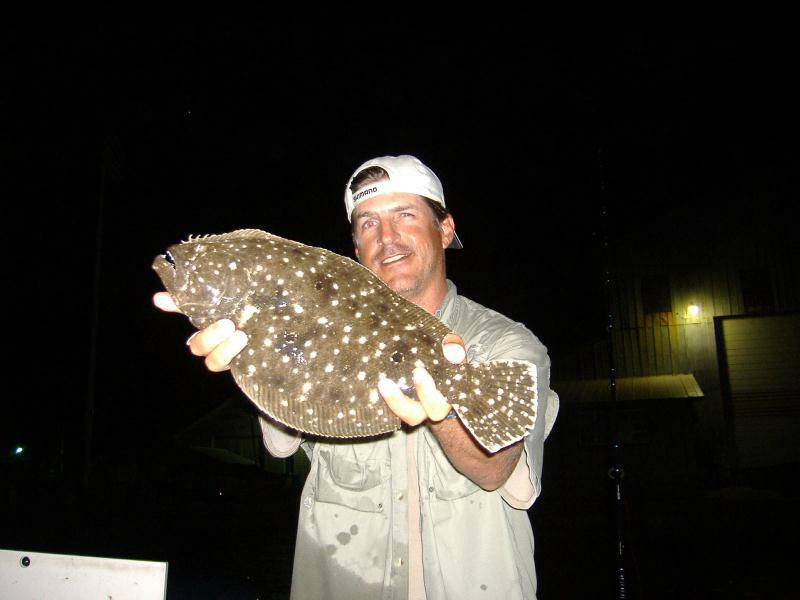 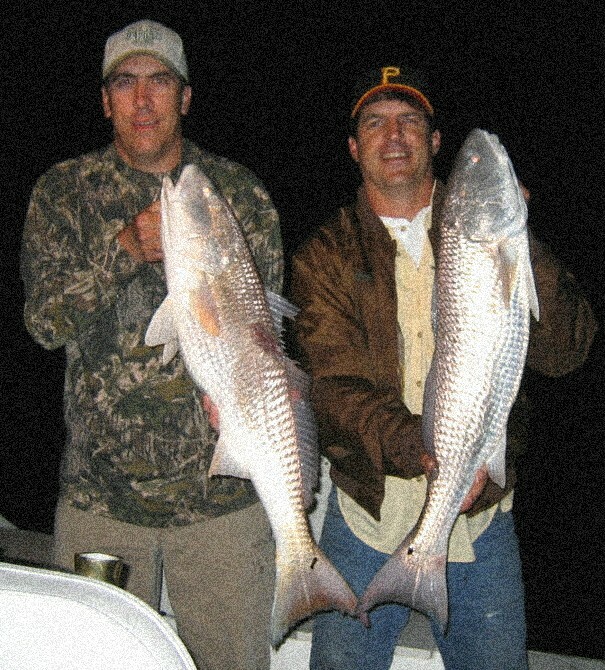 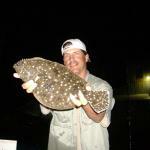 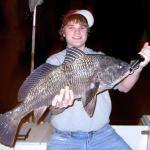 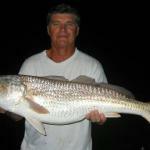 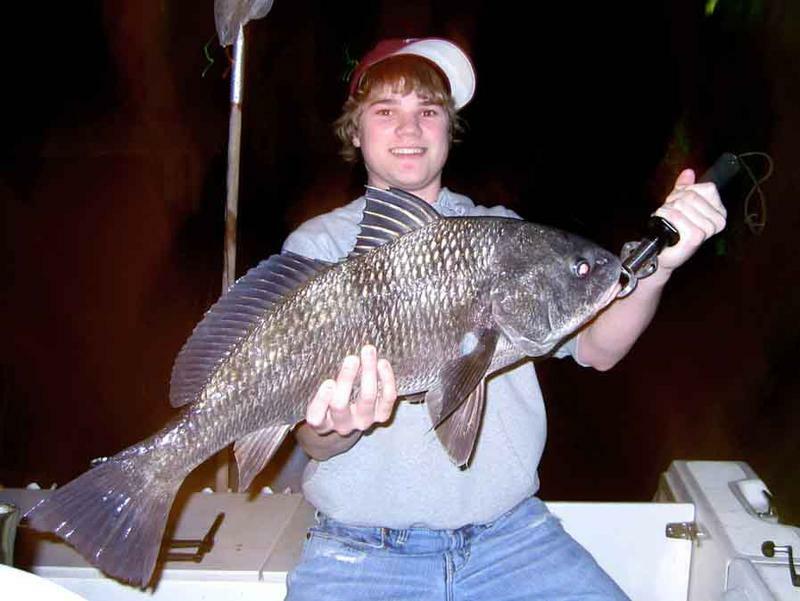 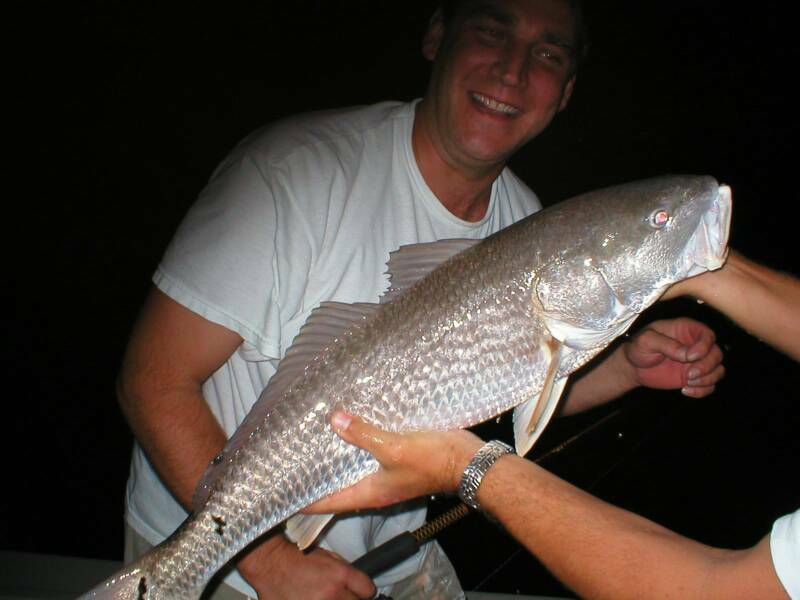 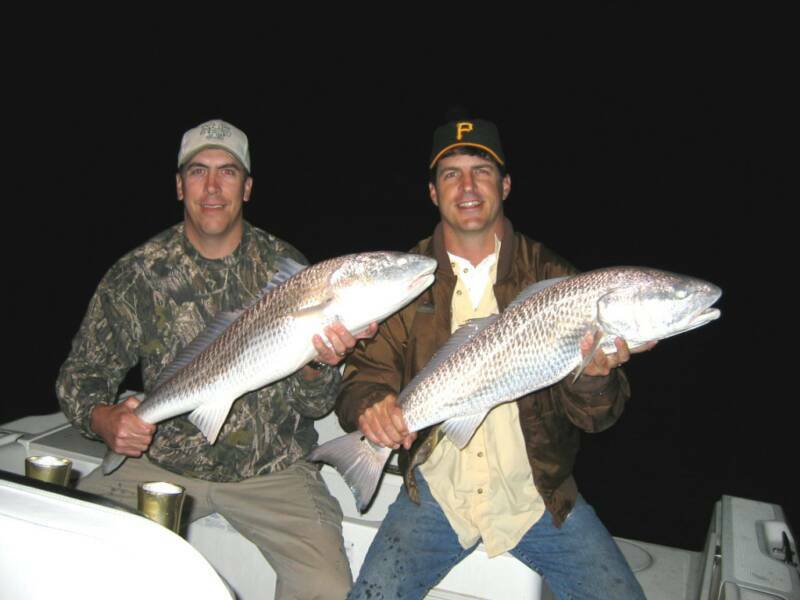 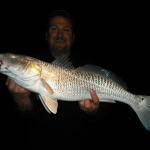 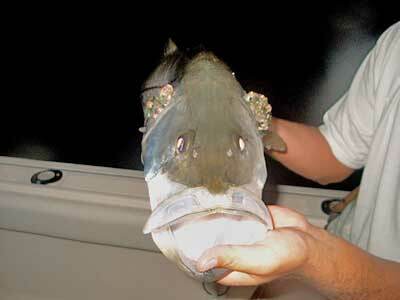 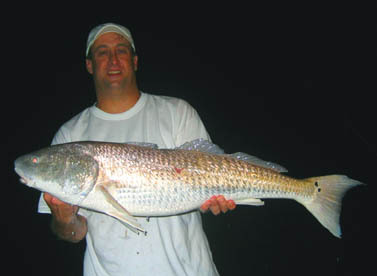 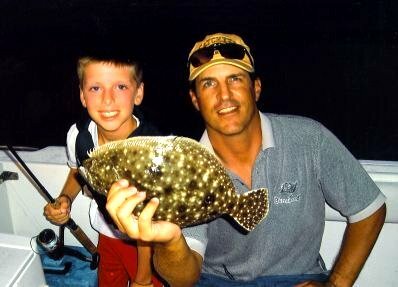 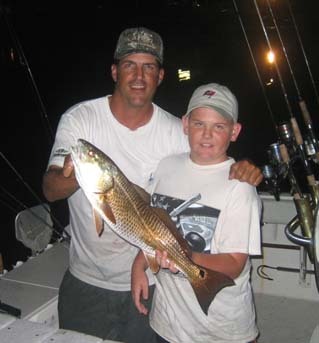 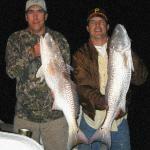 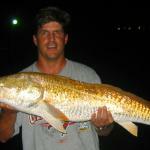 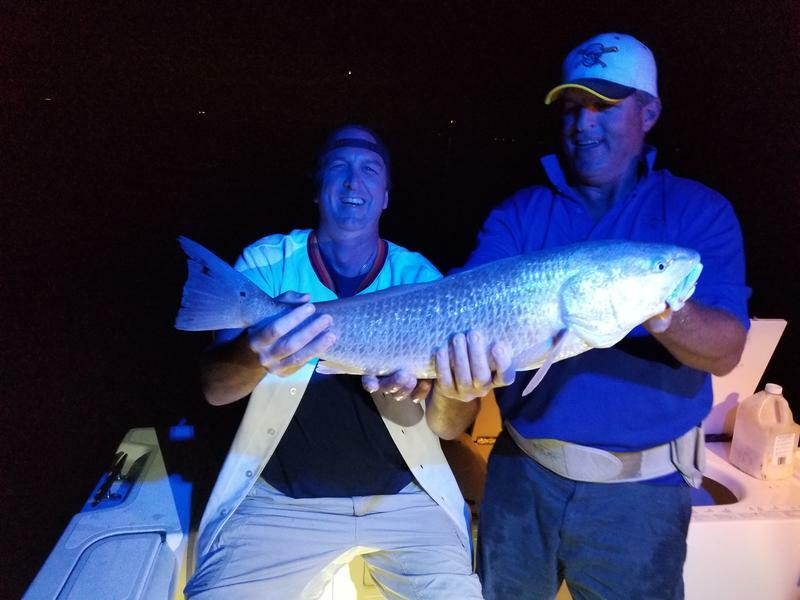 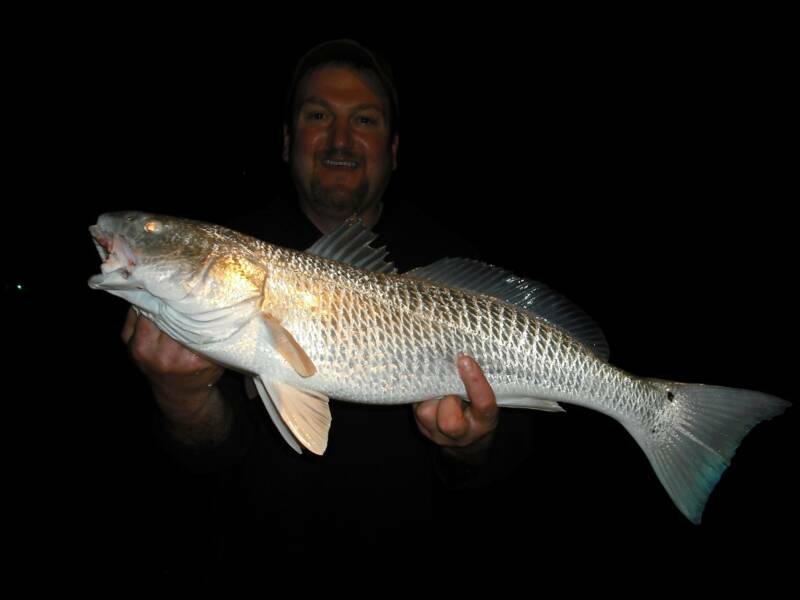 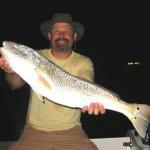 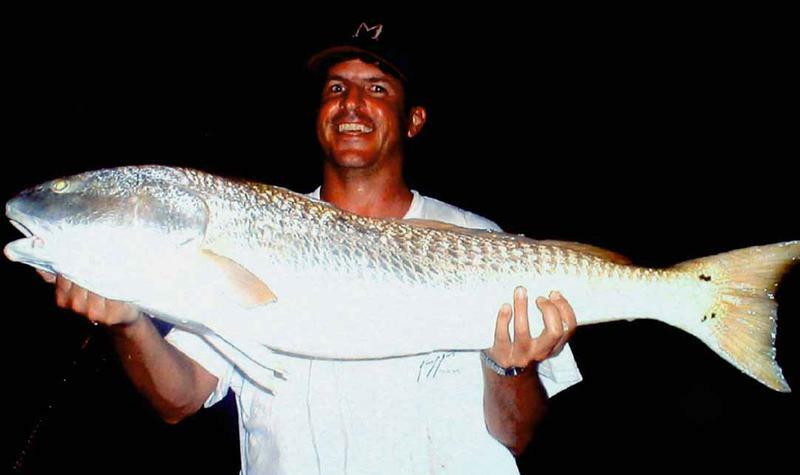 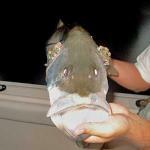 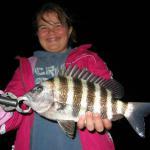 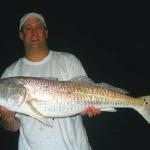 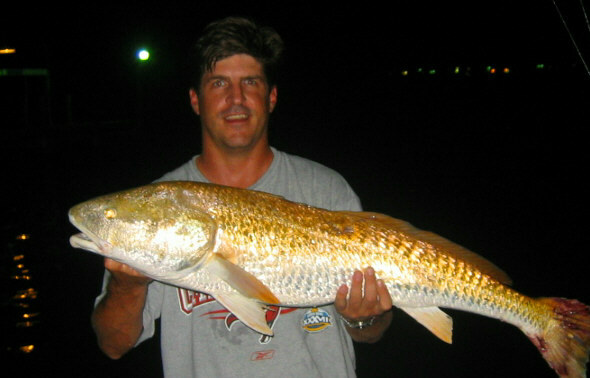 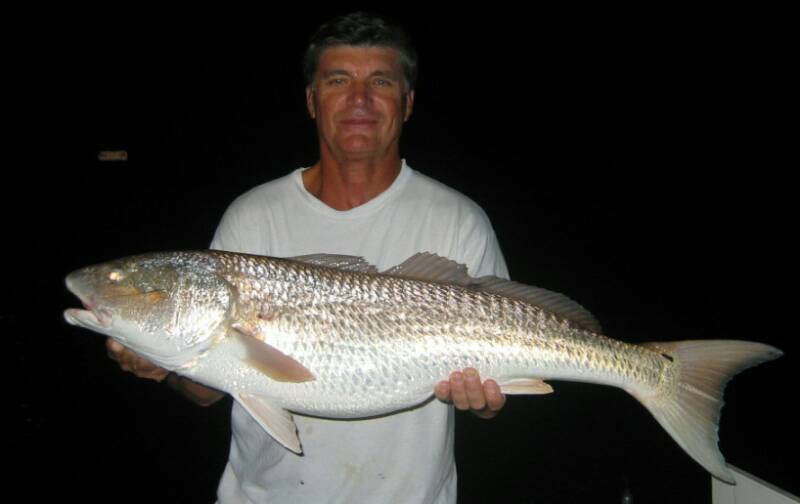 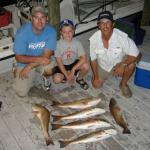 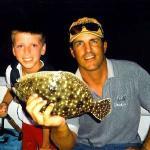 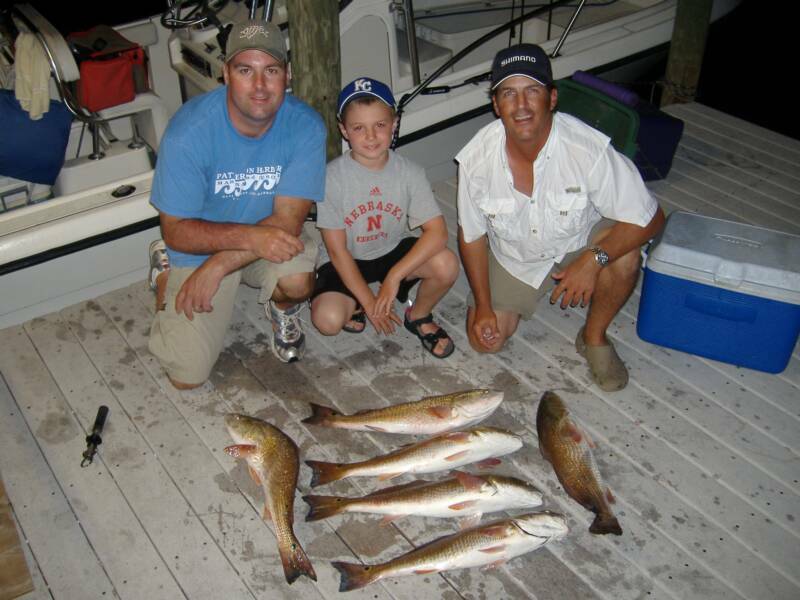 Yes, we are availablle for night fishing trips. 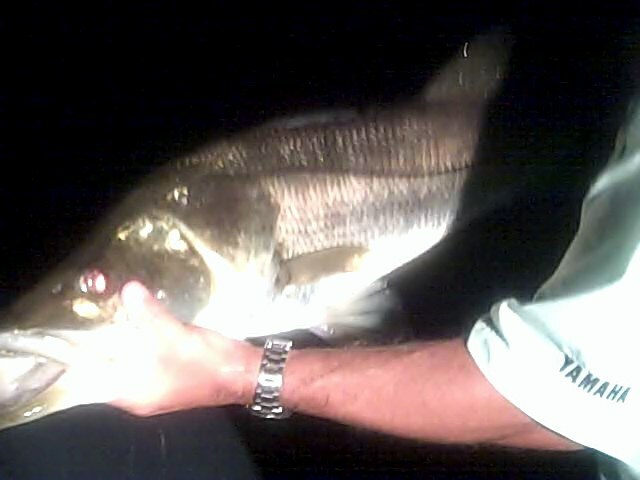 Many of my best catches have come at night. 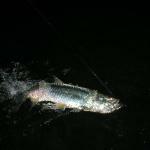 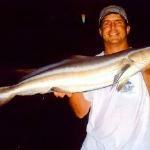 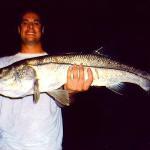 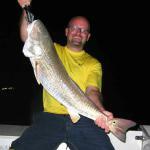 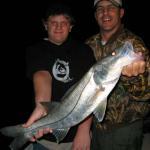 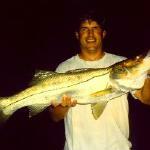 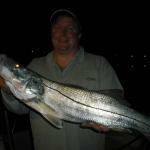 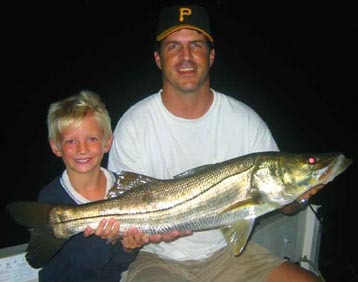 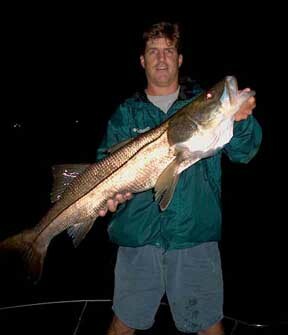 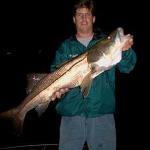 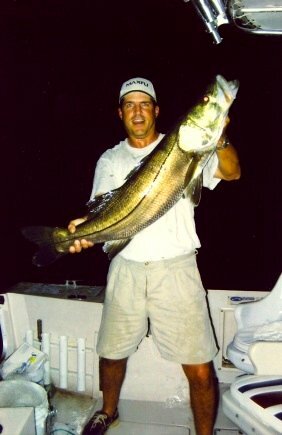 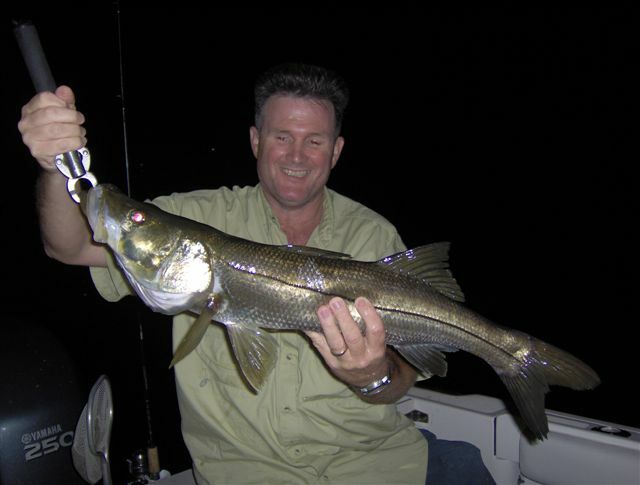 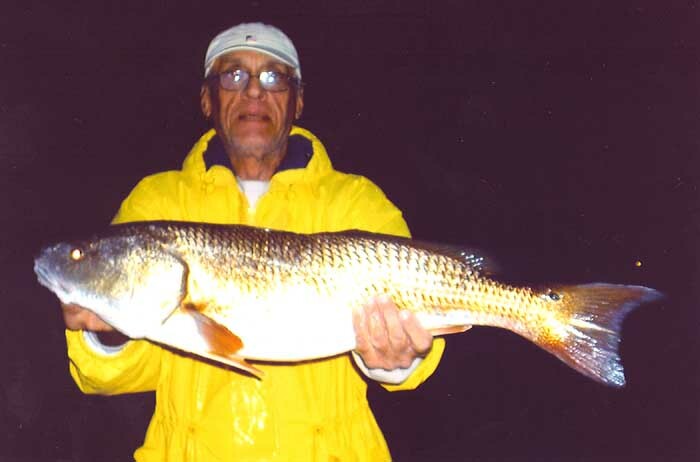 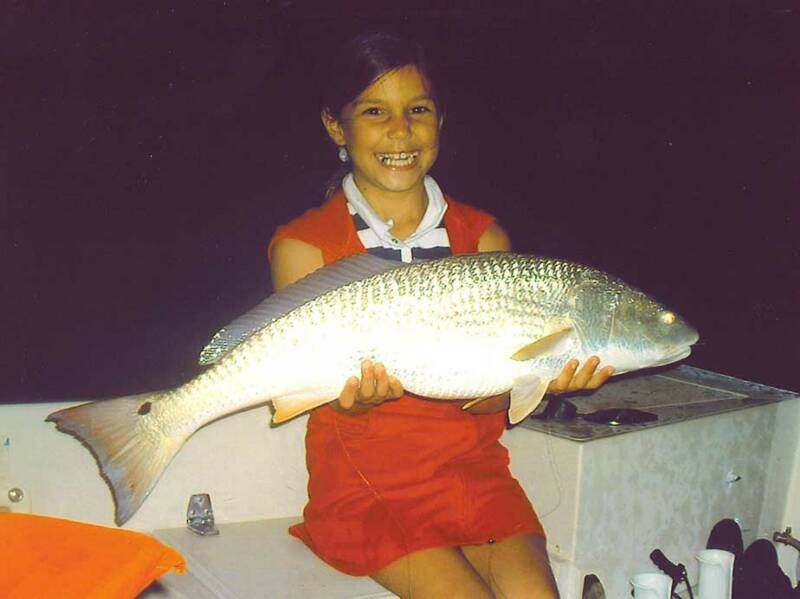 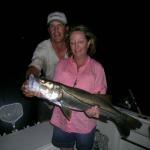 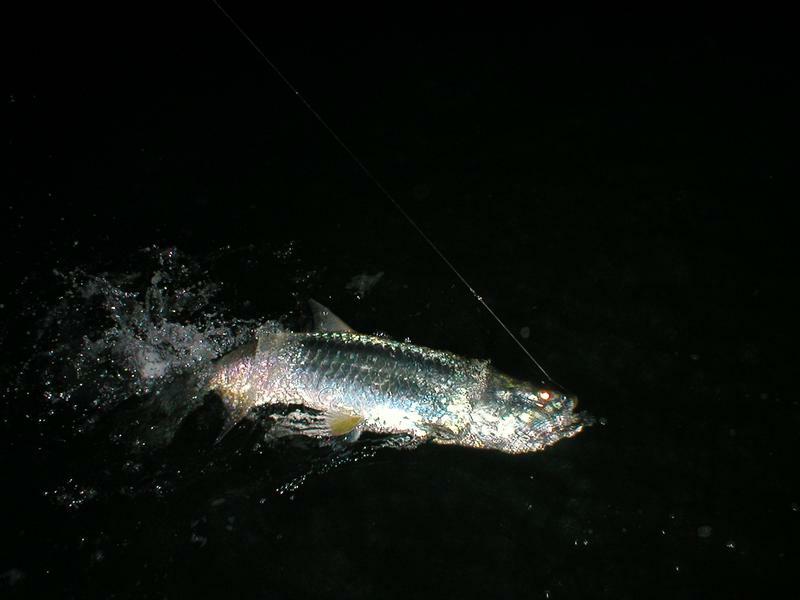 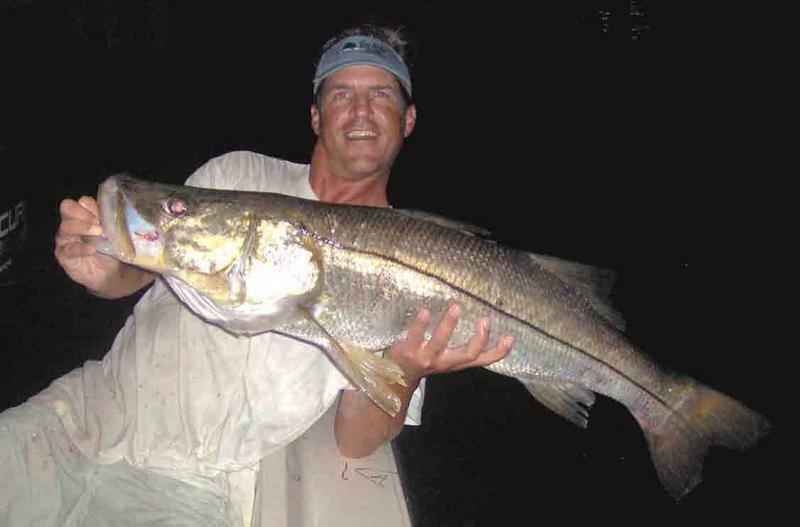 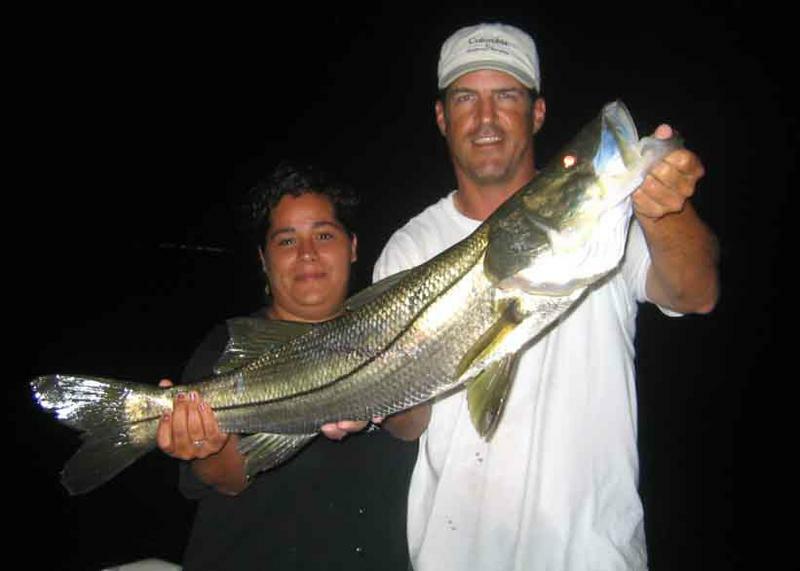 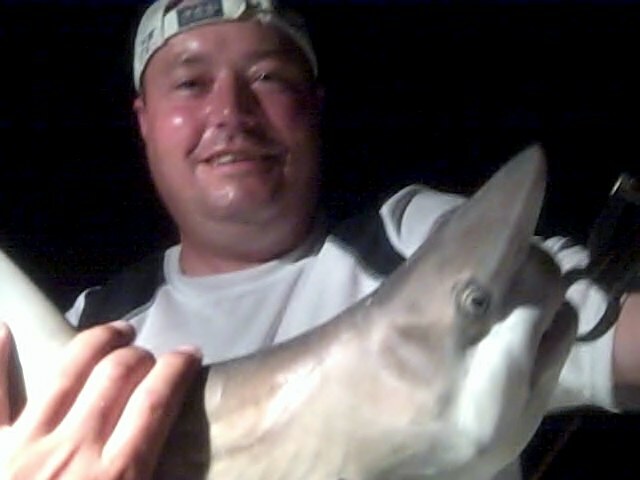 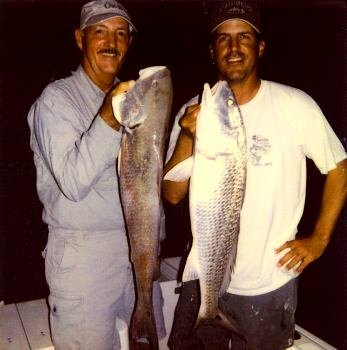 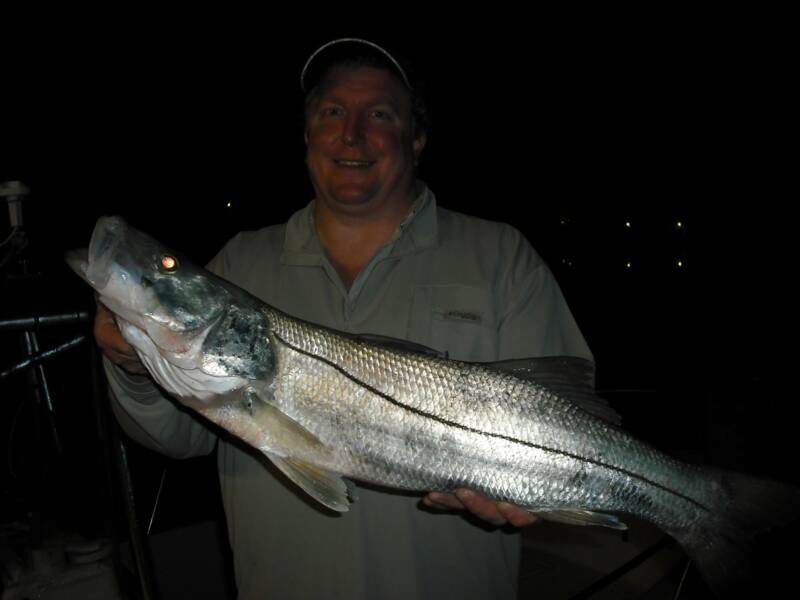 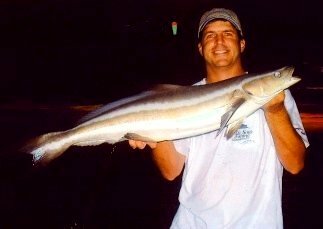 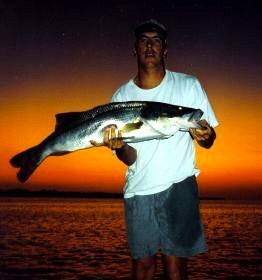 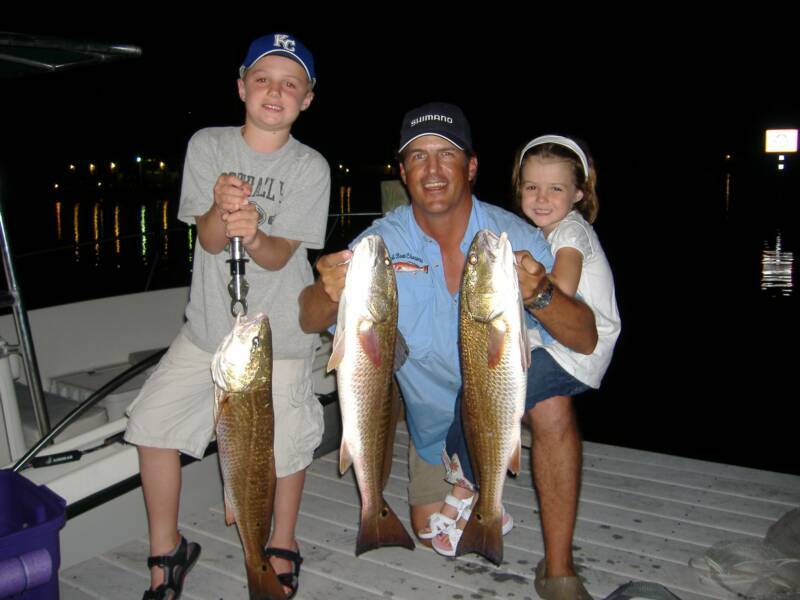 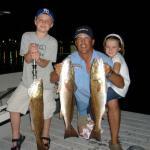 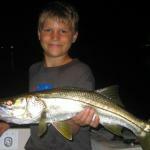 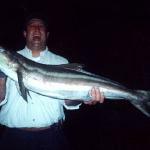 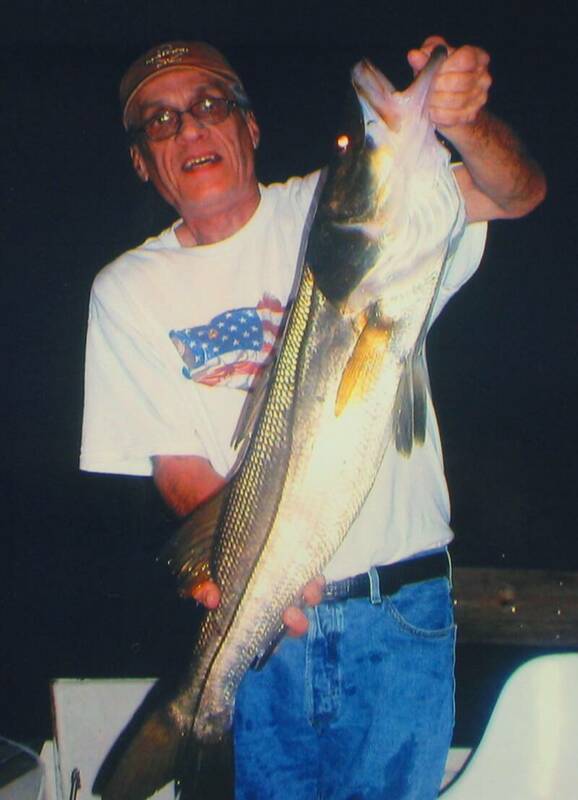 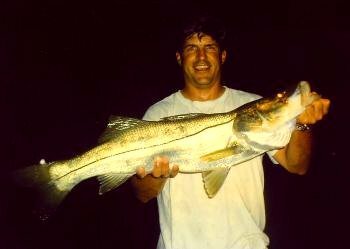 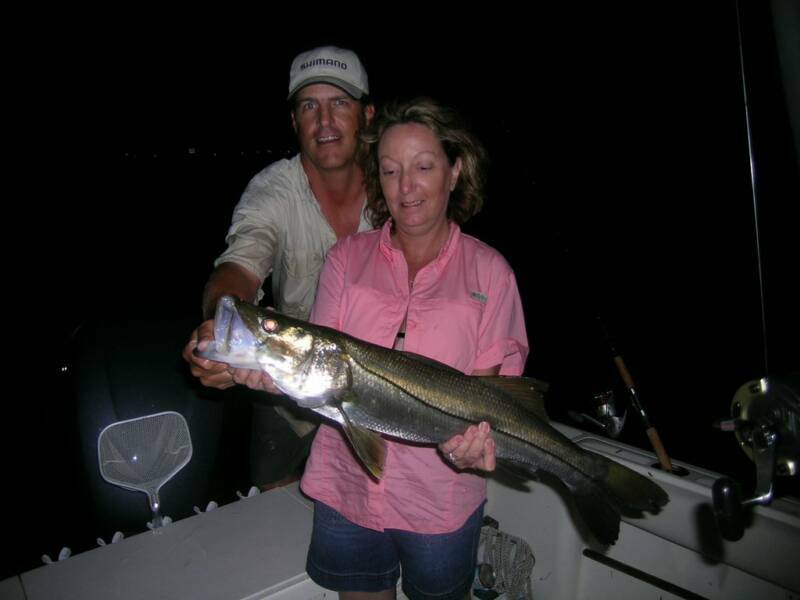 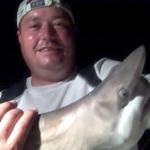 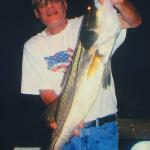 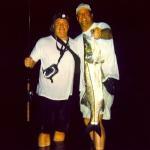 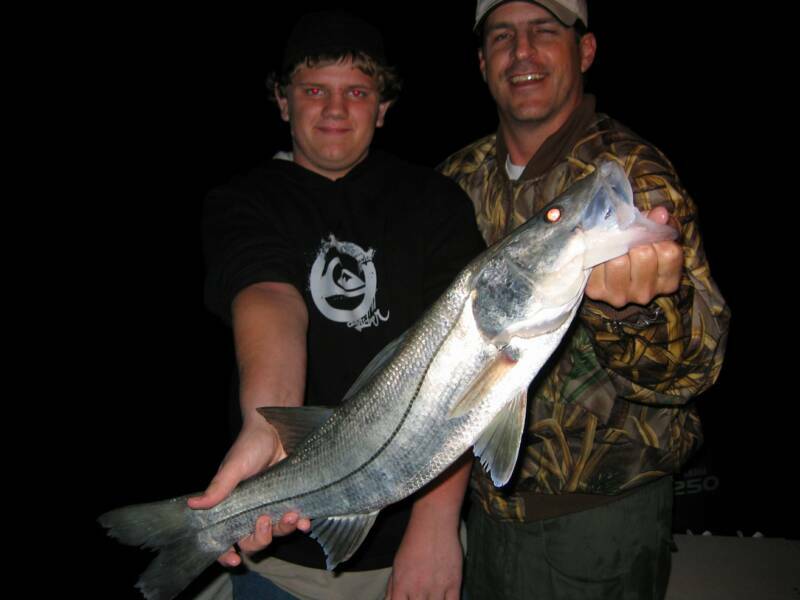 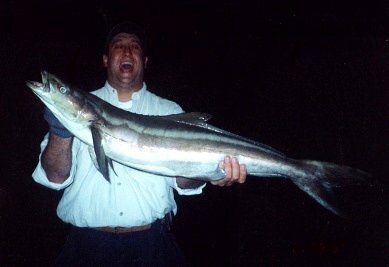 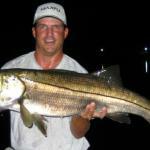 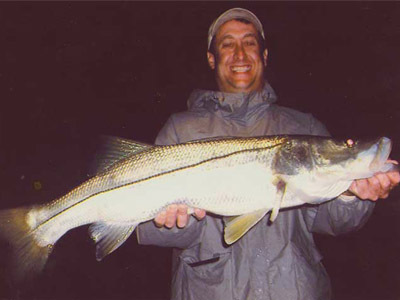 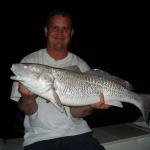 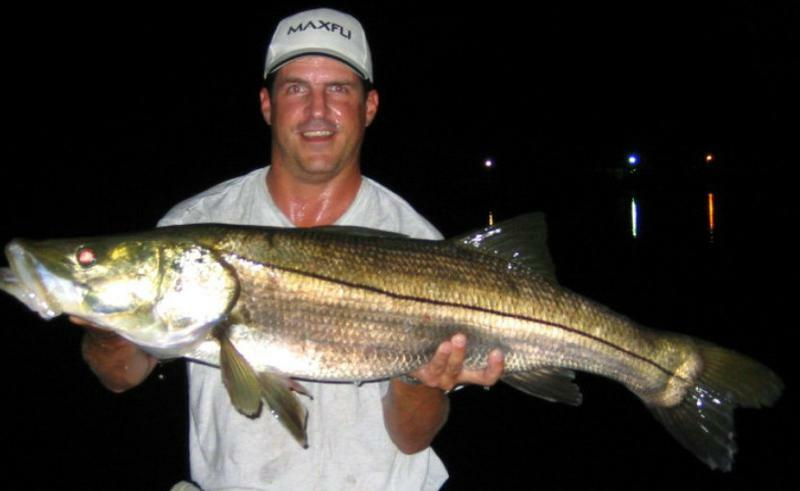 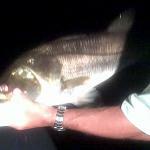 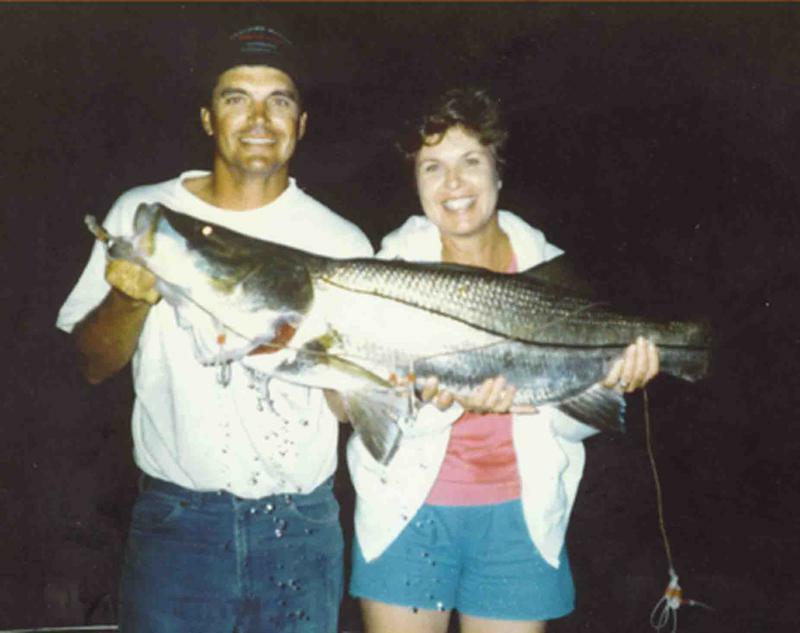 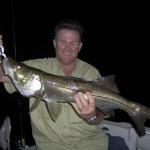 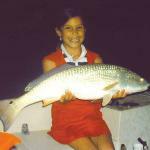 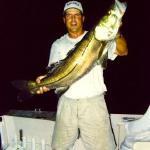 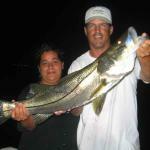 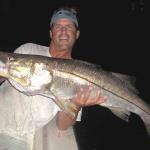 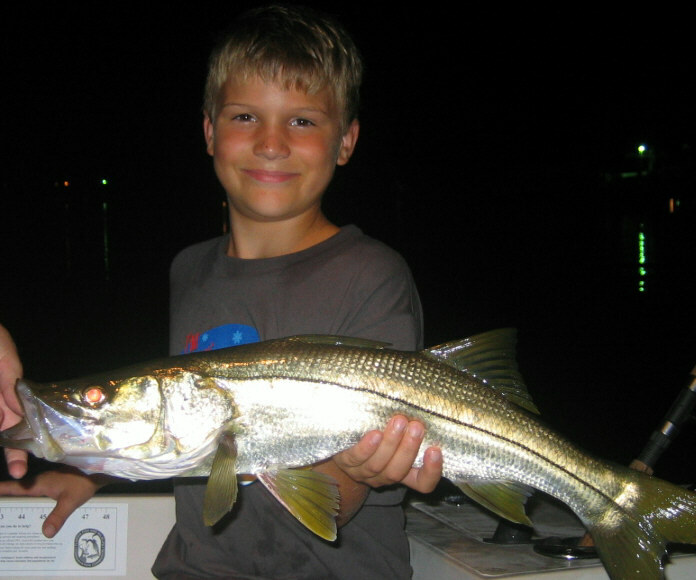 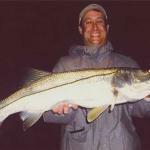 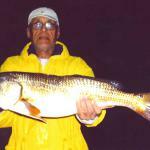 I have been night fishing for snook, tarpon, and redfish for many years. 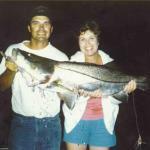 It's a great way to beat the heat during the summer and a lot of fun. 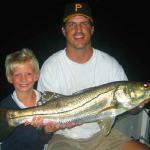 My boat is fully rigged for night fishing charters and perfectly safe. 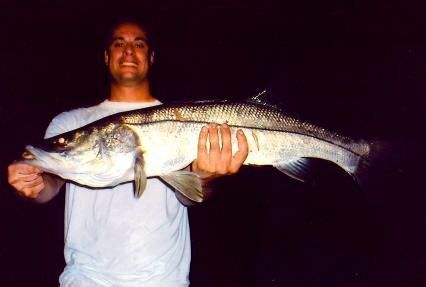 I fish around lit areas on moon lit nights and have boat lighting as well. 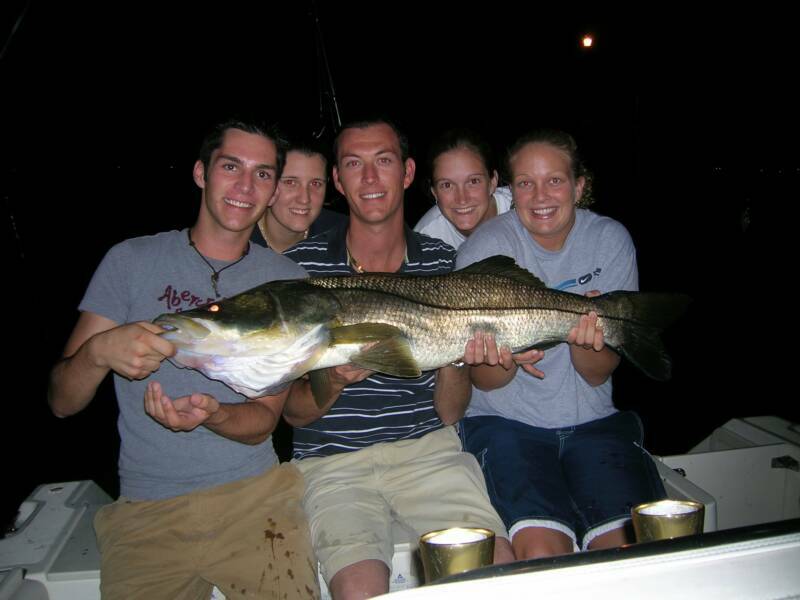 If you are looking for an exciting adventure, this is it. 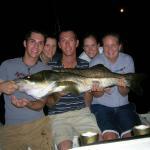 If you have any questions or are interested in a night trip, give me a call or write.